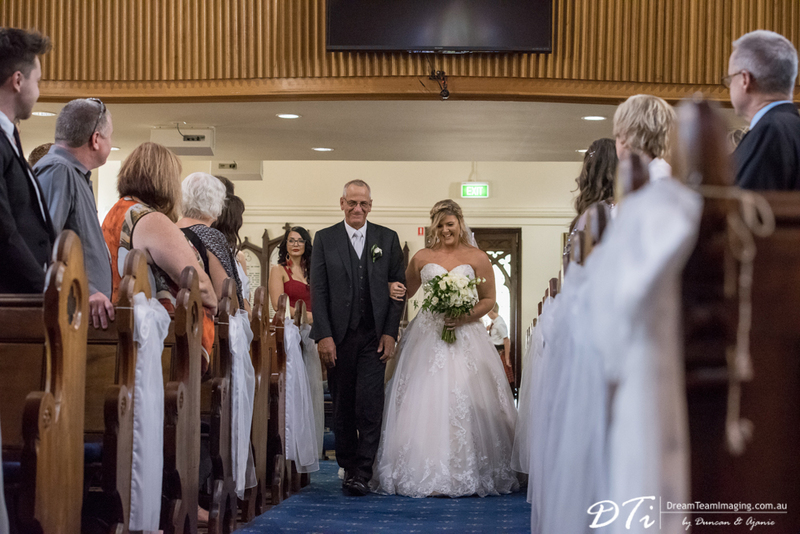 What an exciting day it was! 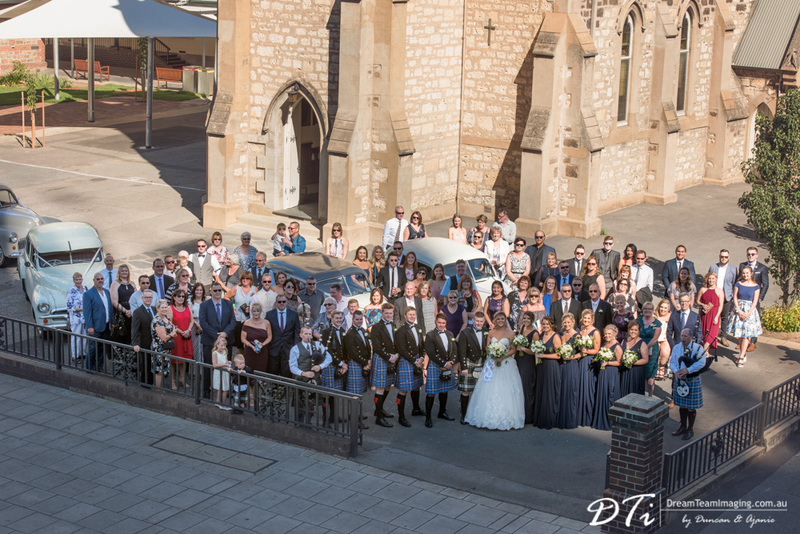 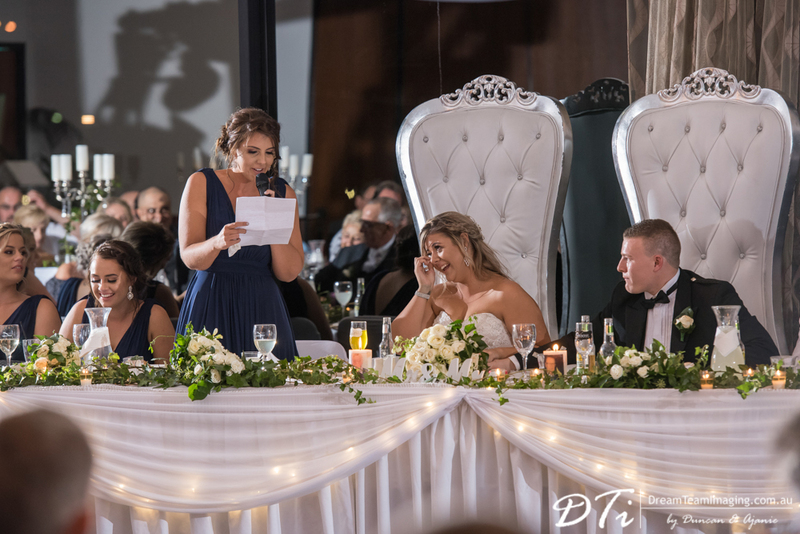 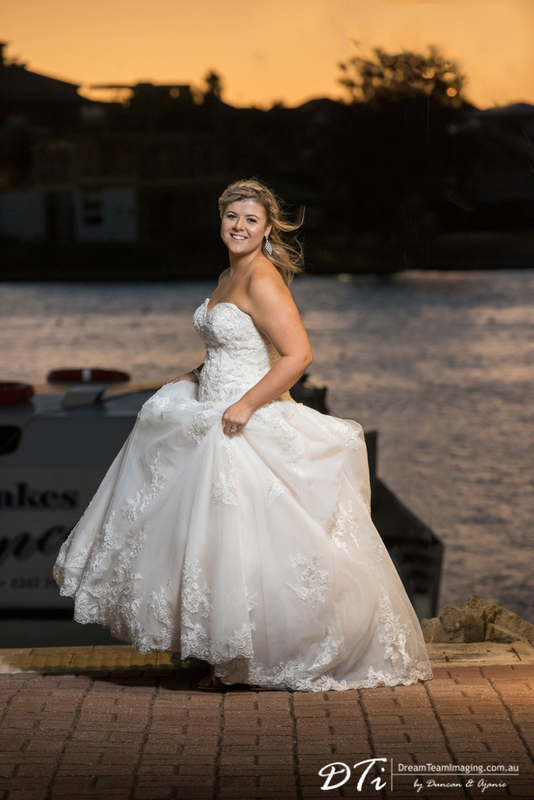 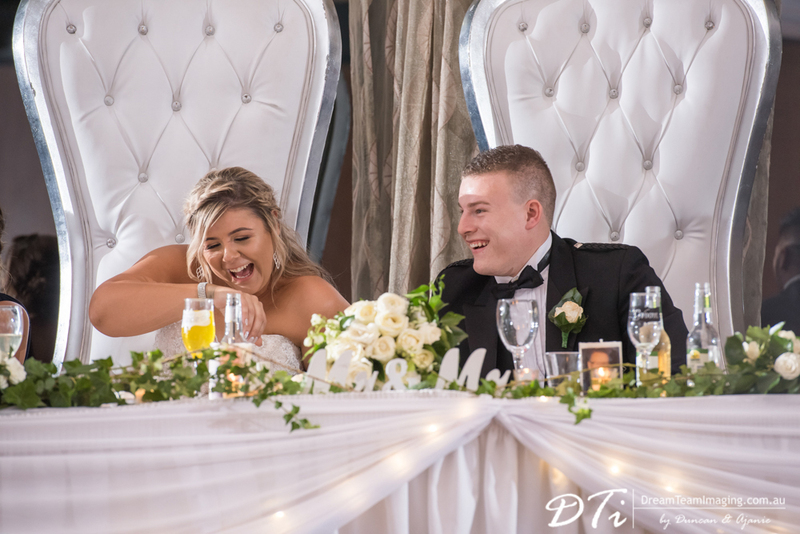 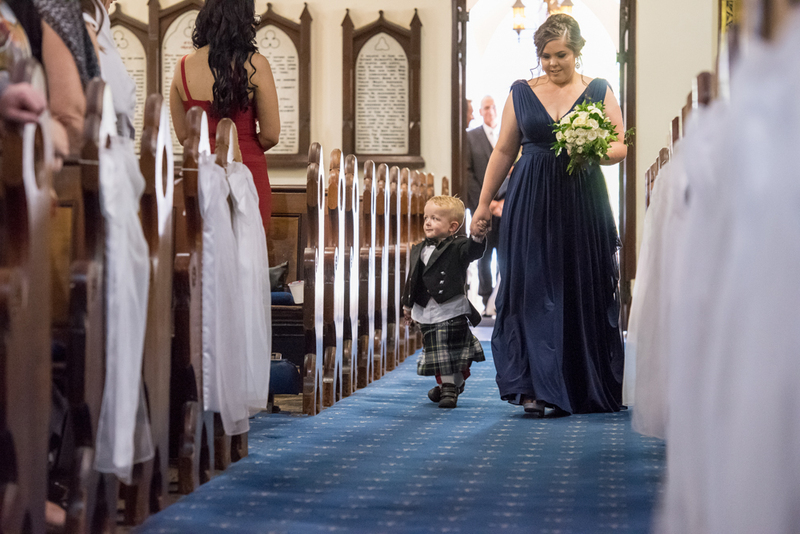 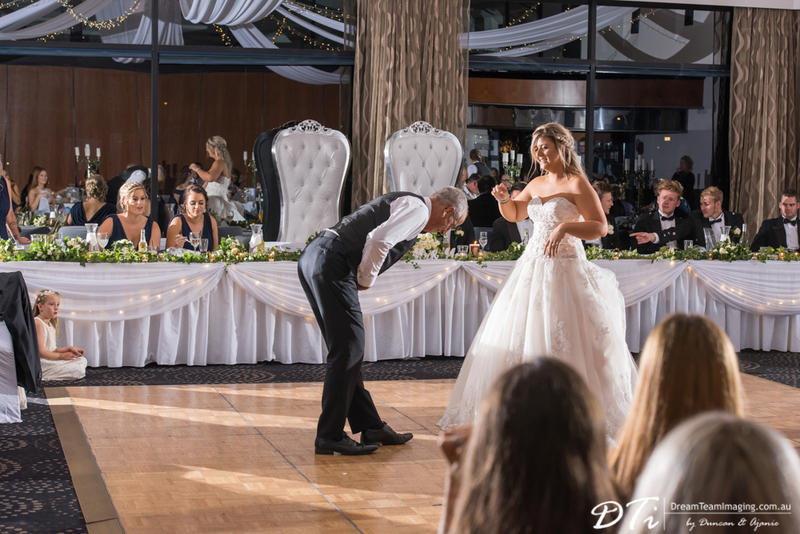 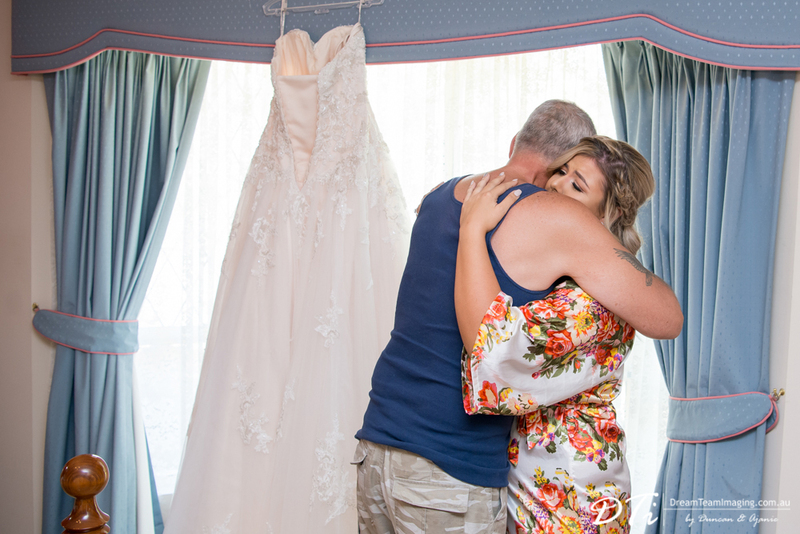 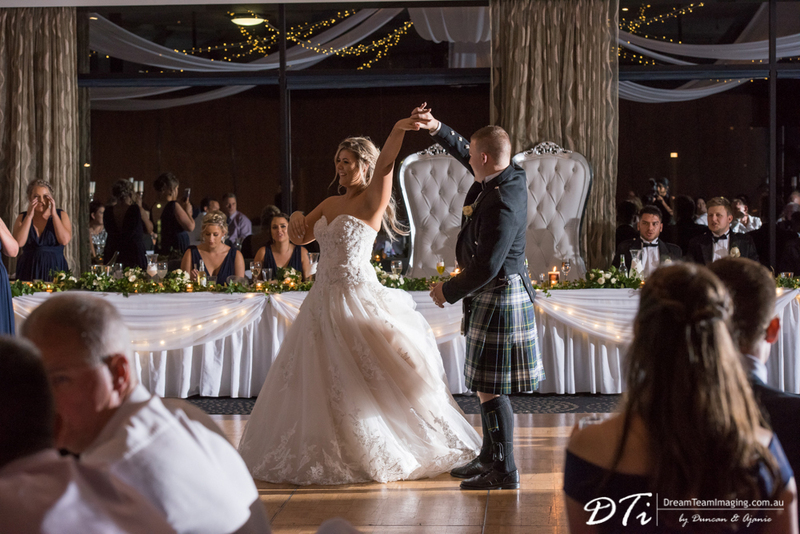 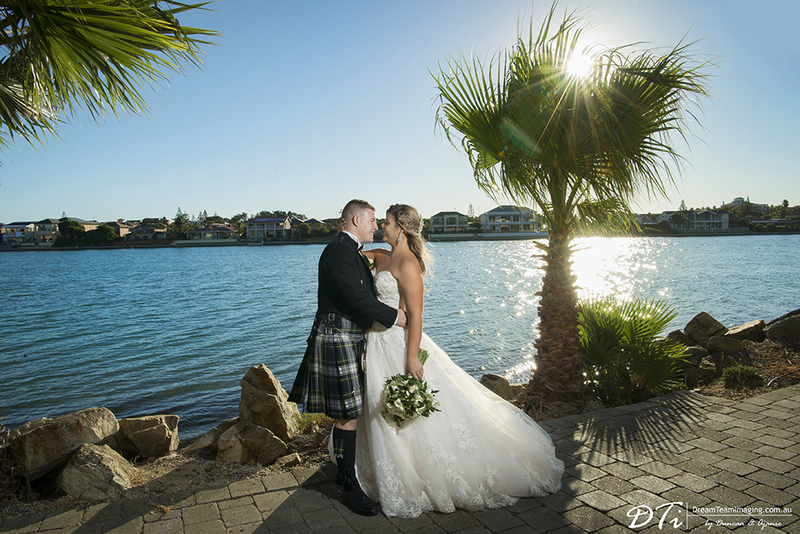 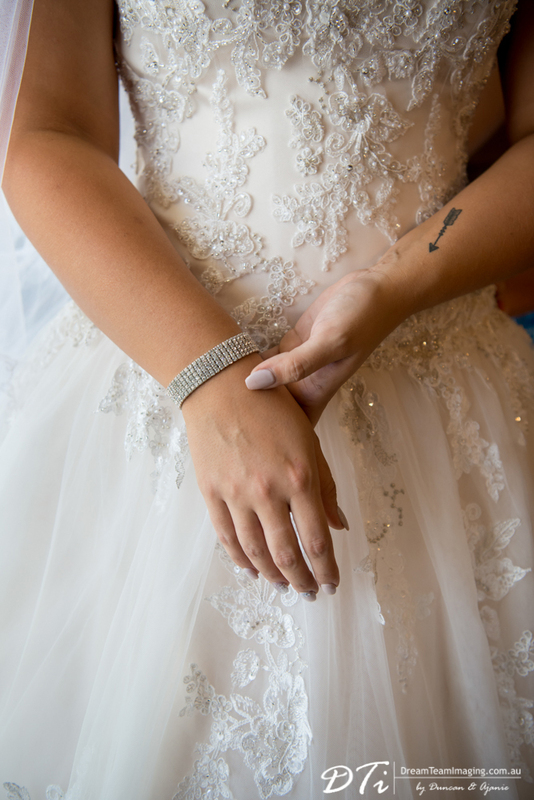 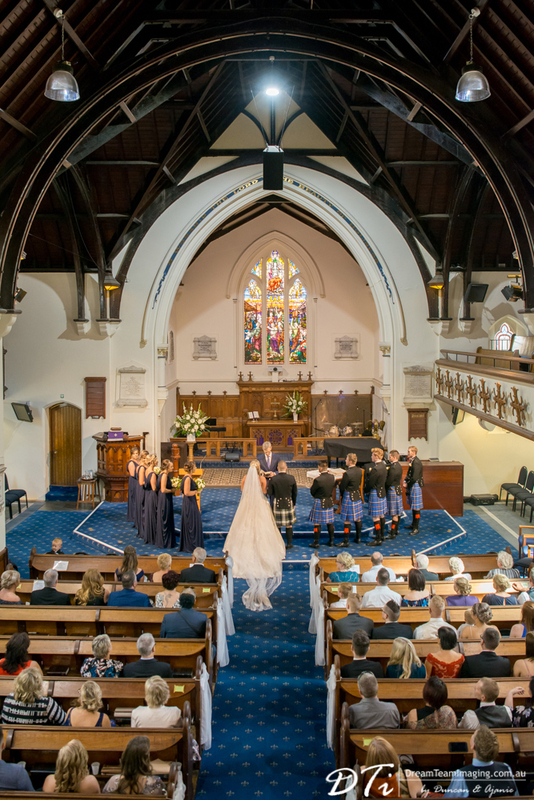 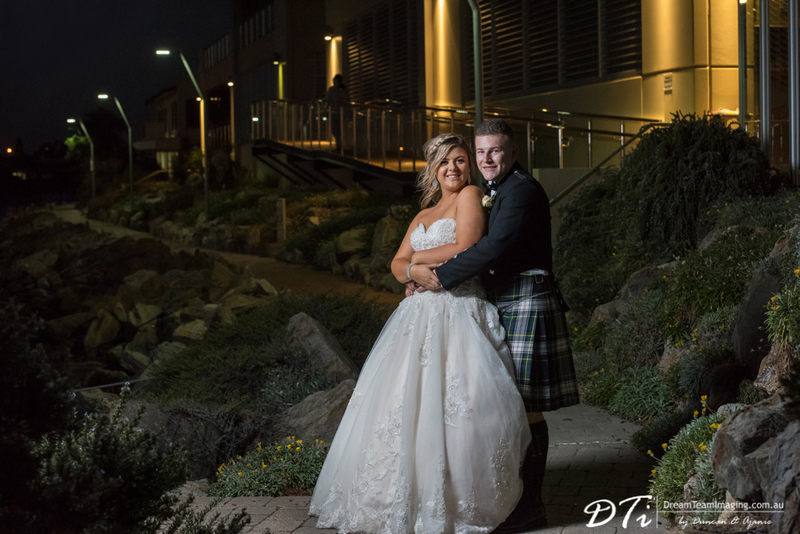 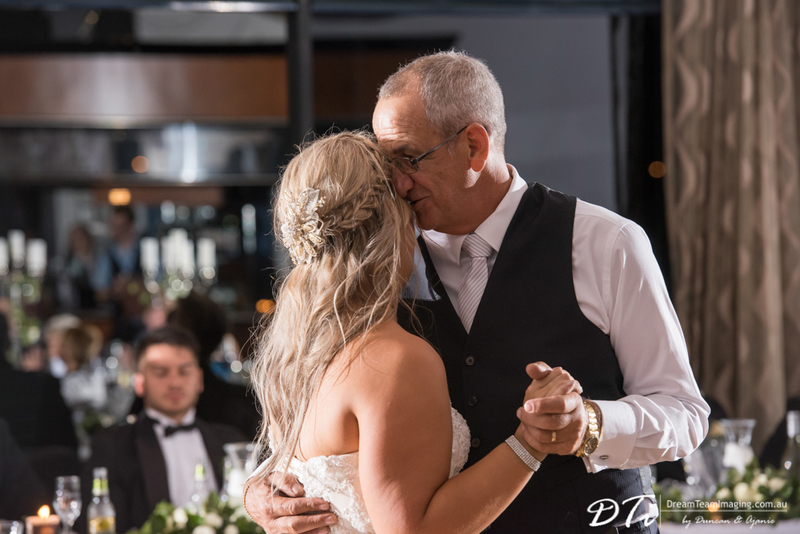 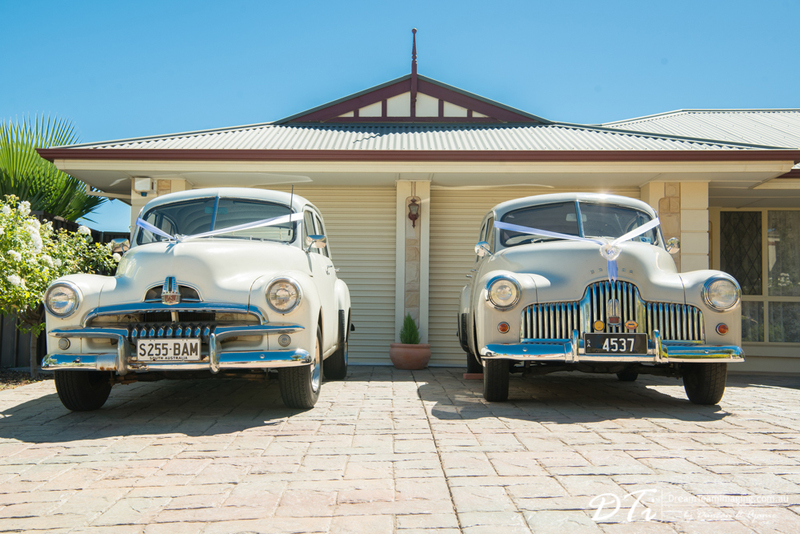 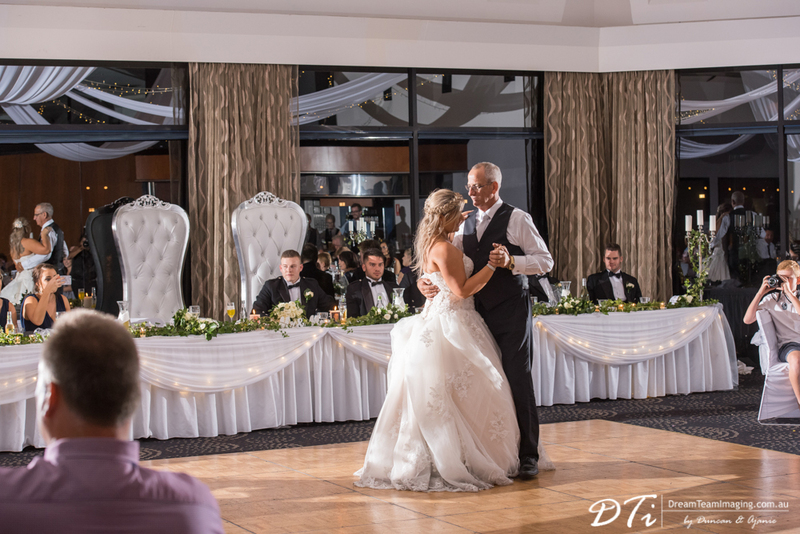 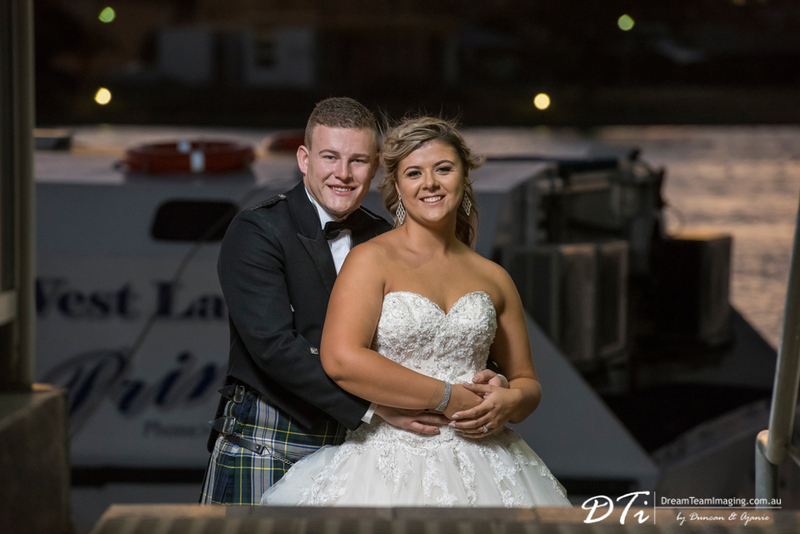 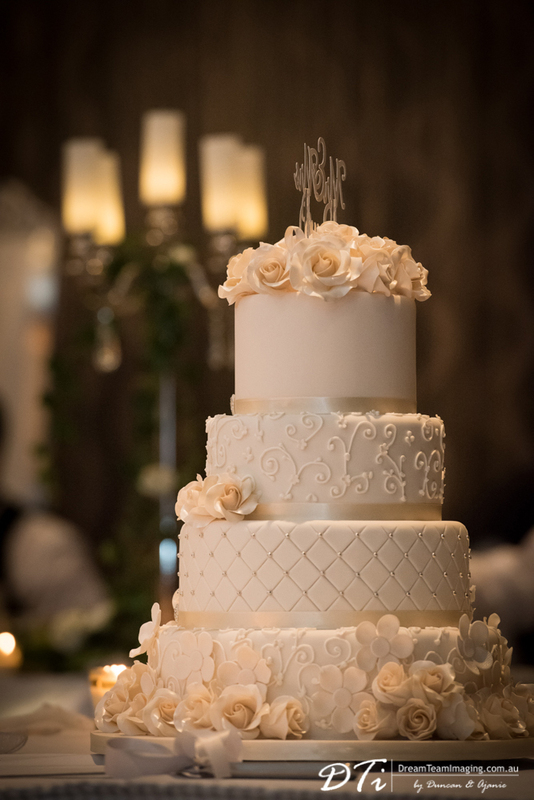 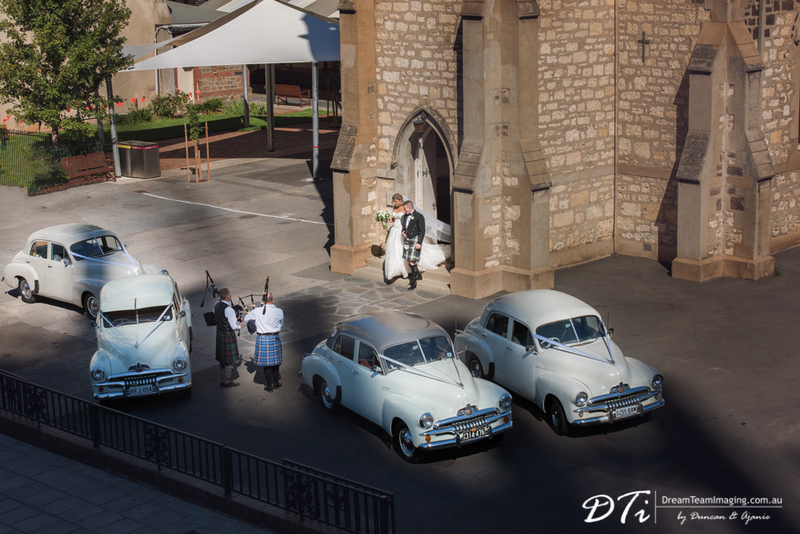 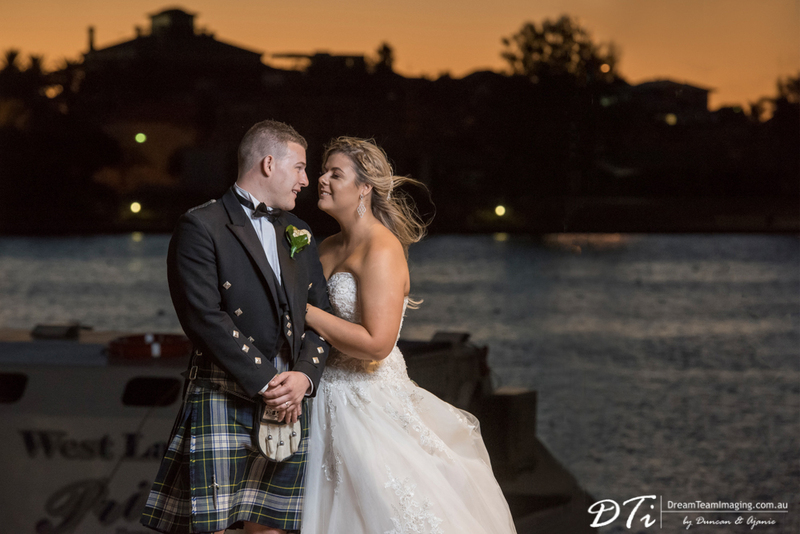 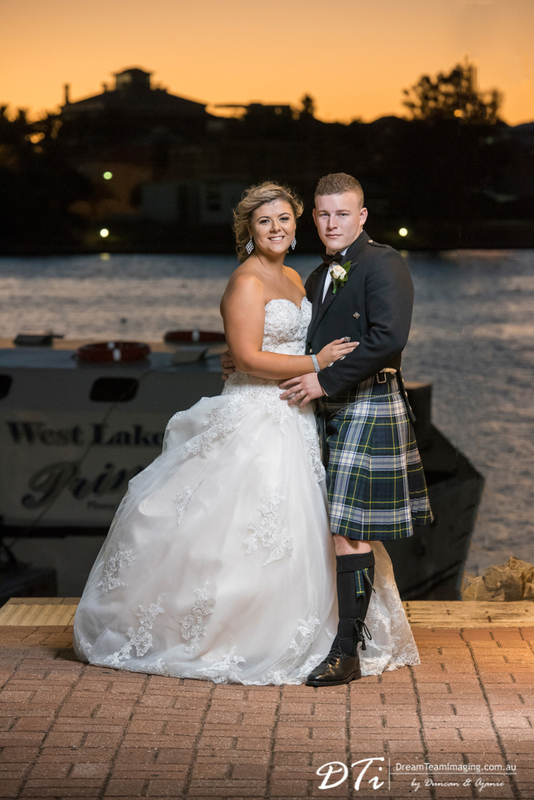 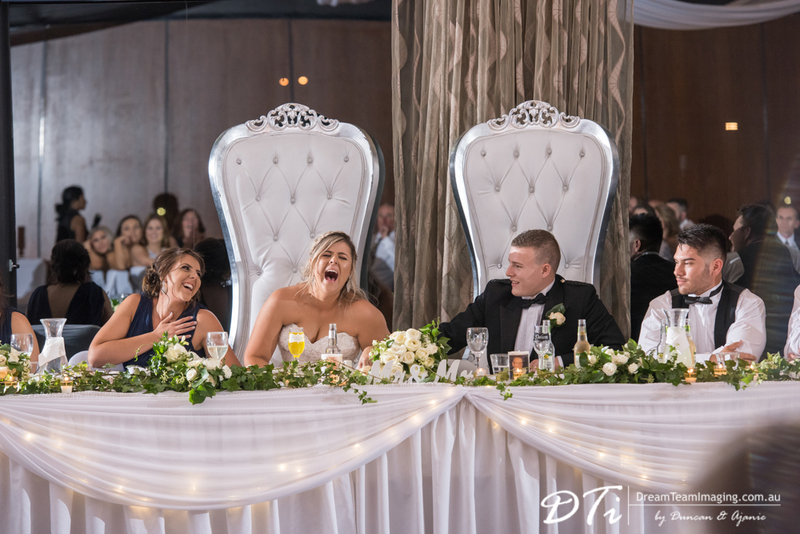 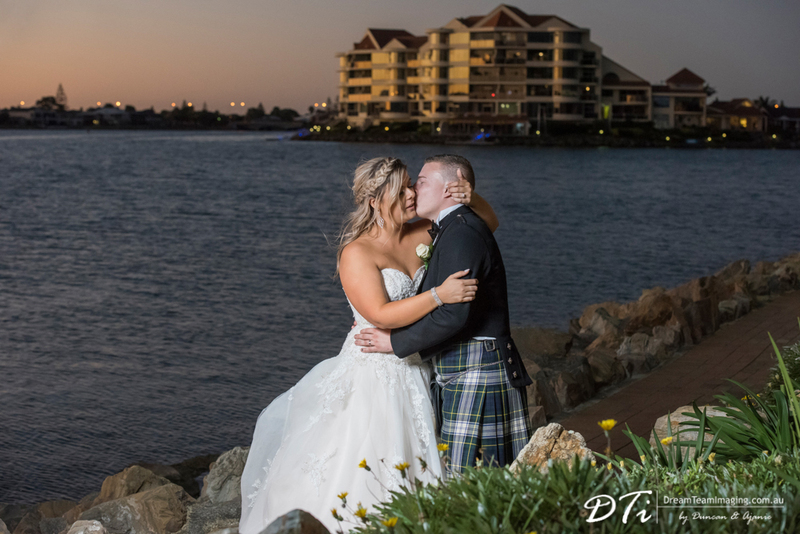 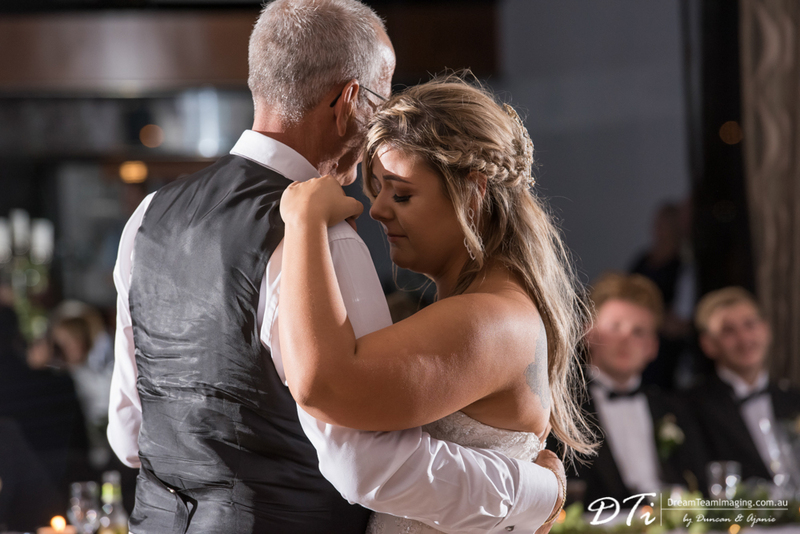 Chloe & Will’s wedding day started with the ceremony at the Holy Trinity church Adelaide, followed by their wedding reception at Lakes Resort. 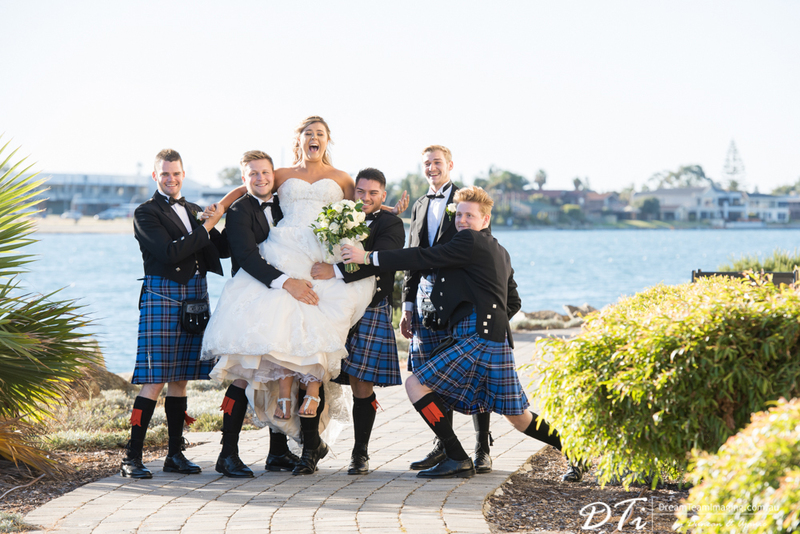 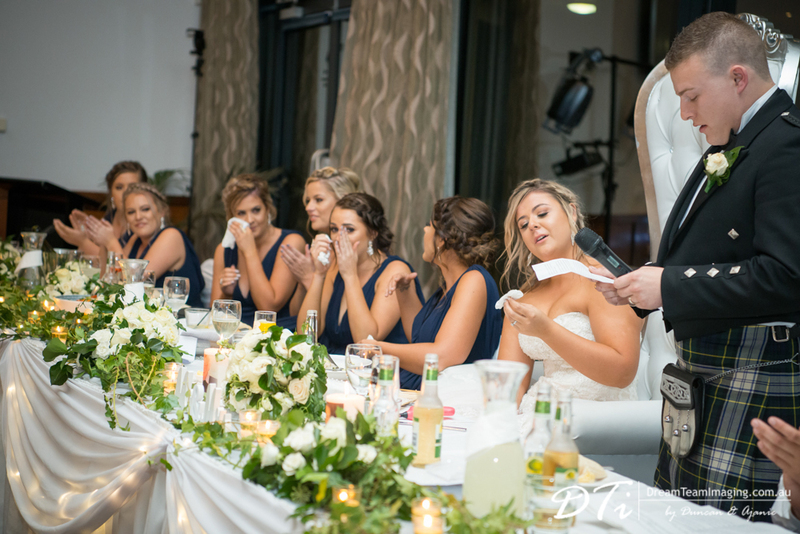 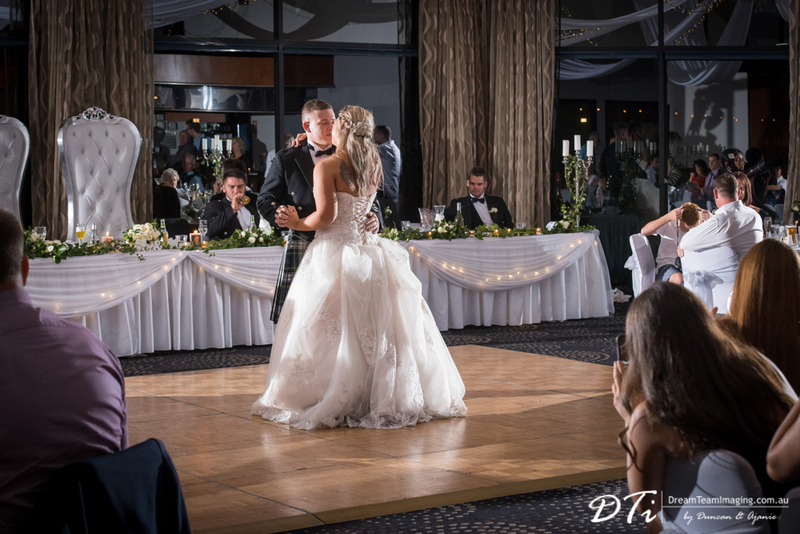 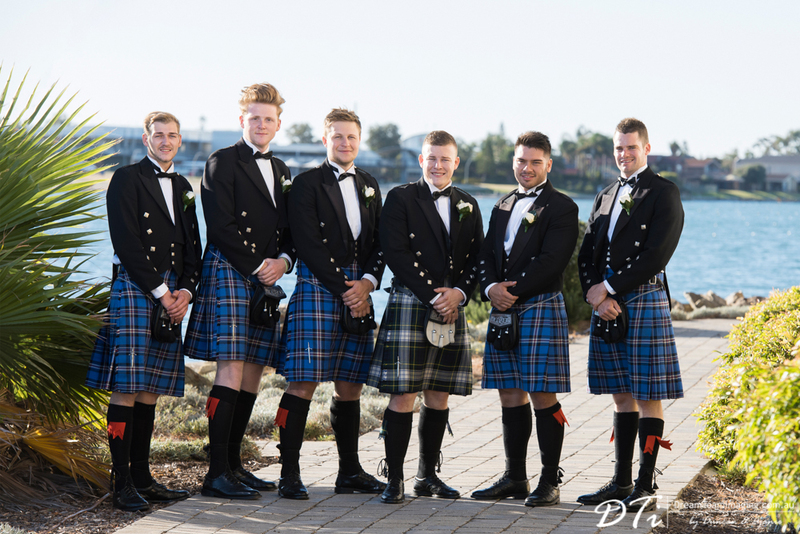 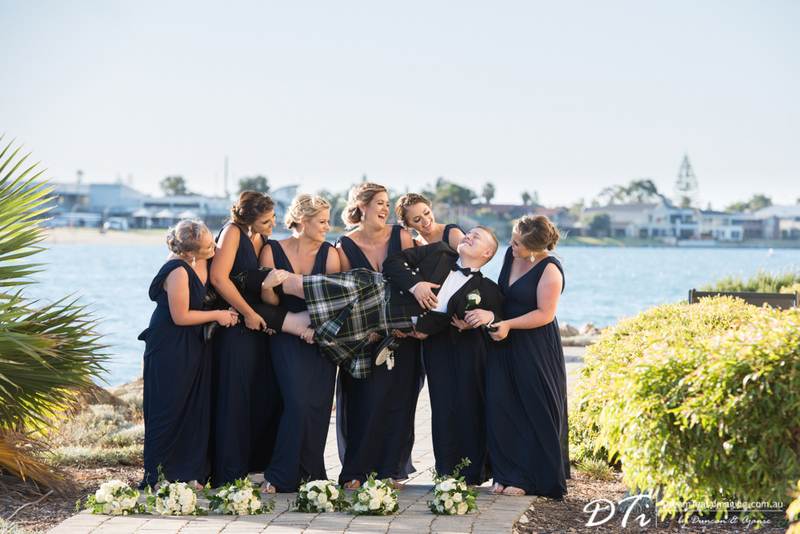 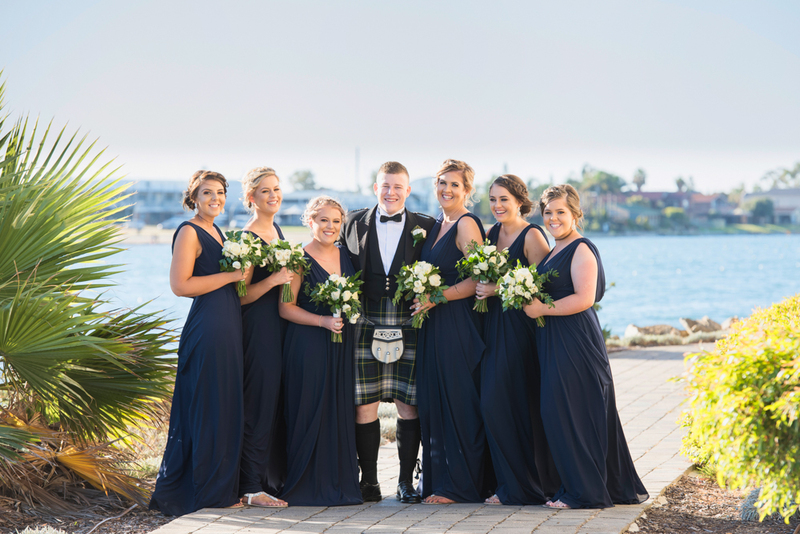 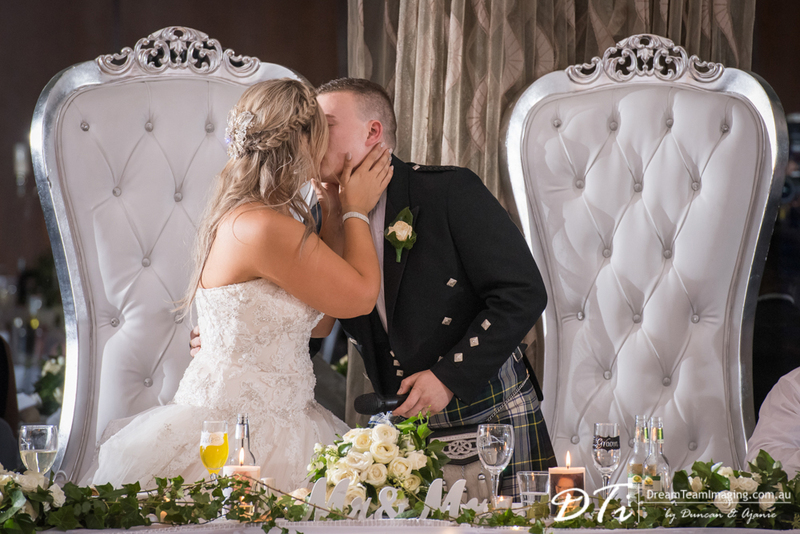 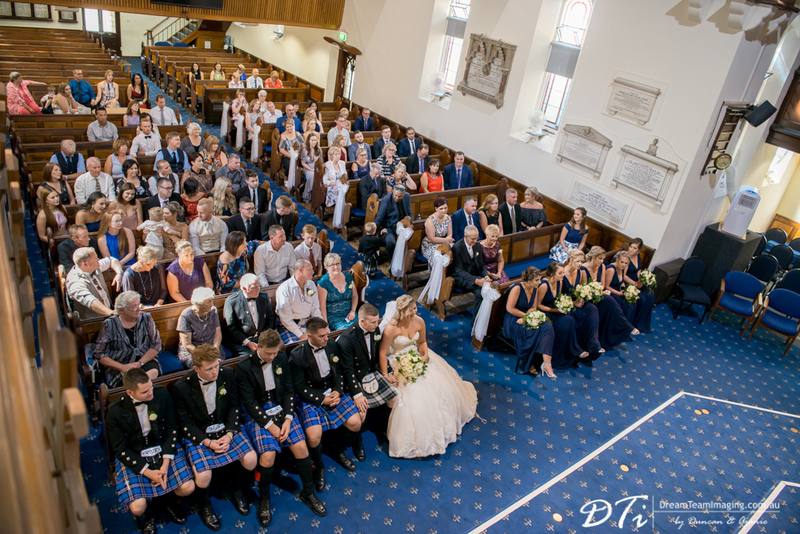 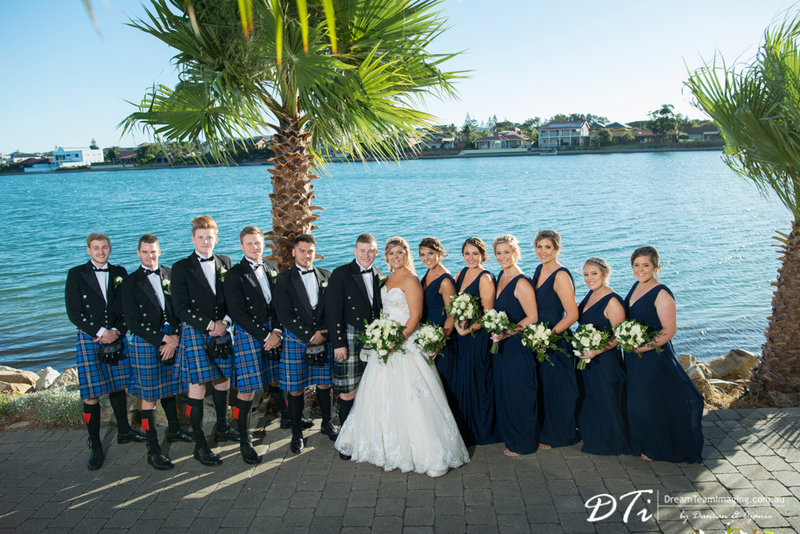 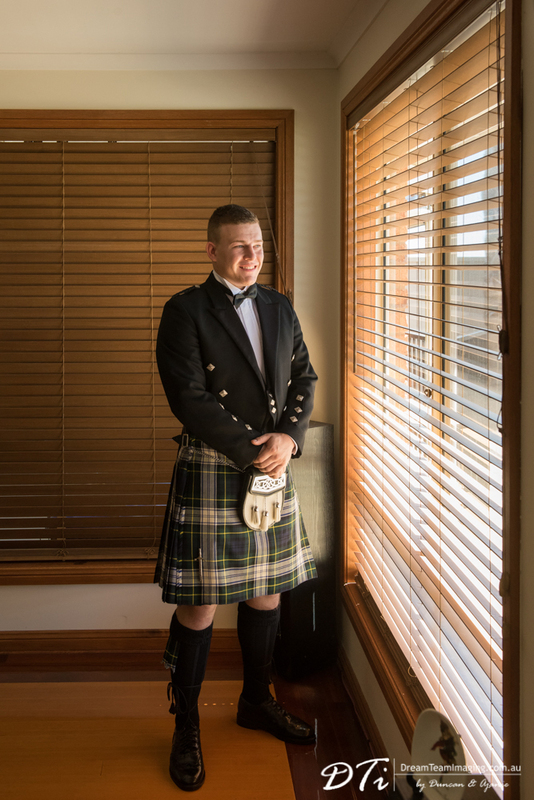 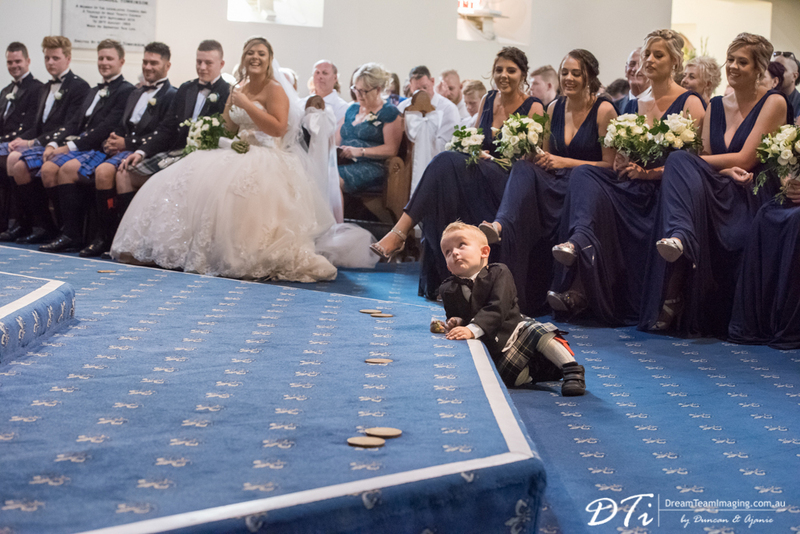 The day was even more special because, keeping to their Scottish heritage, Will and his groomsmen wore kilts on the day. 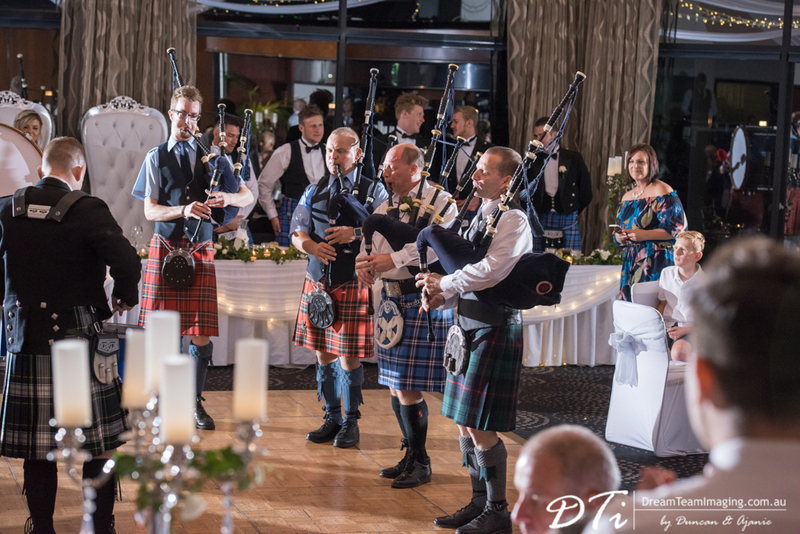 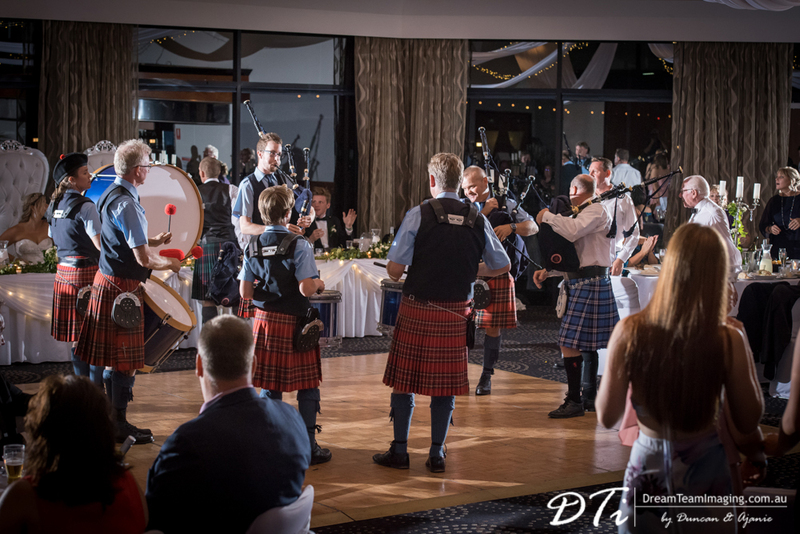 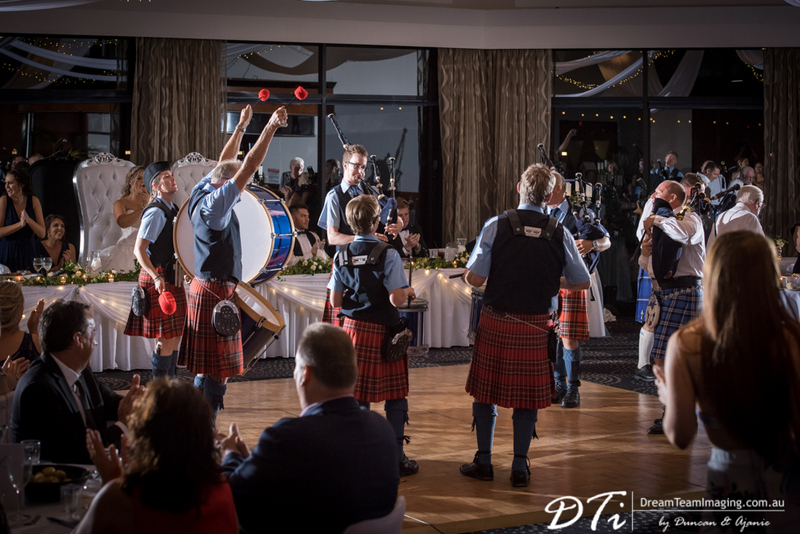 Bagpipes were also part of the day at the ceremony and the reception. 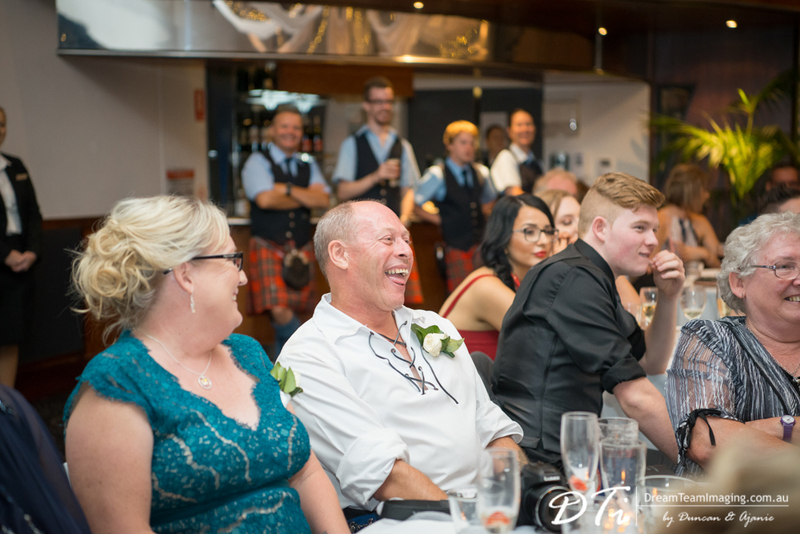 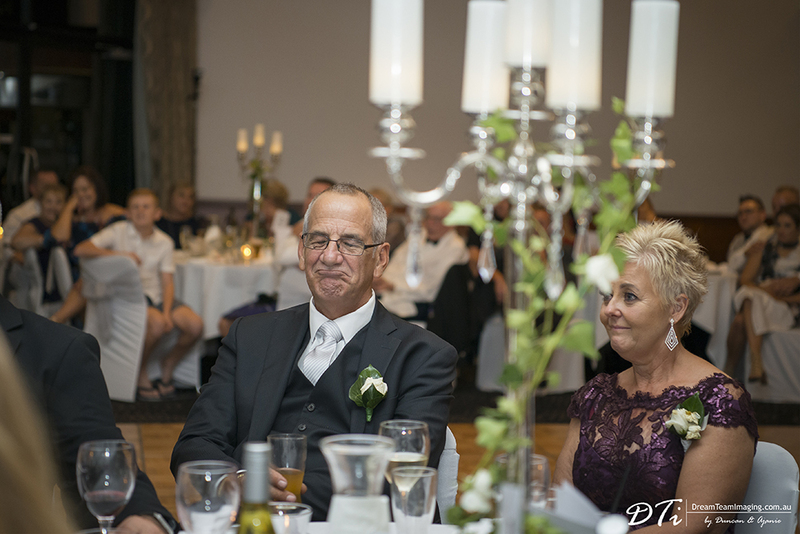 Even more special was Will’s dad playing the bagpipes at the ceremony and later at the reception. 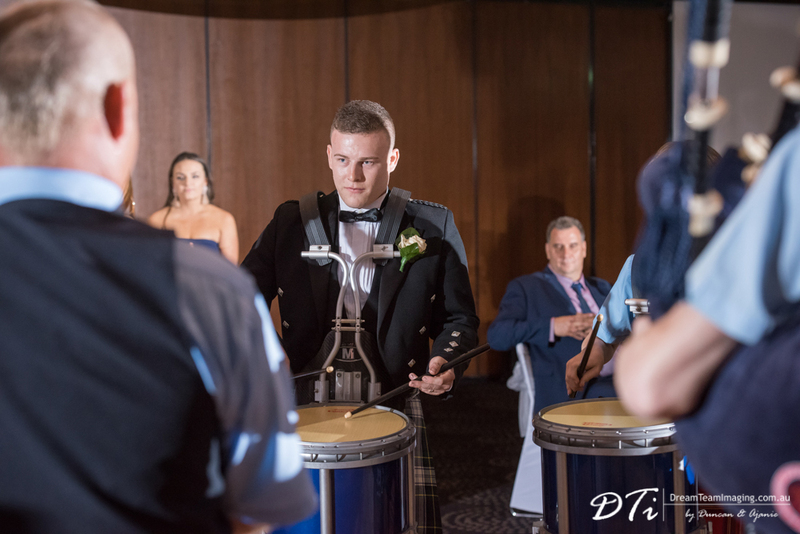 Continuing the family tradition, the groom himself showed off his skills in playing the drums. 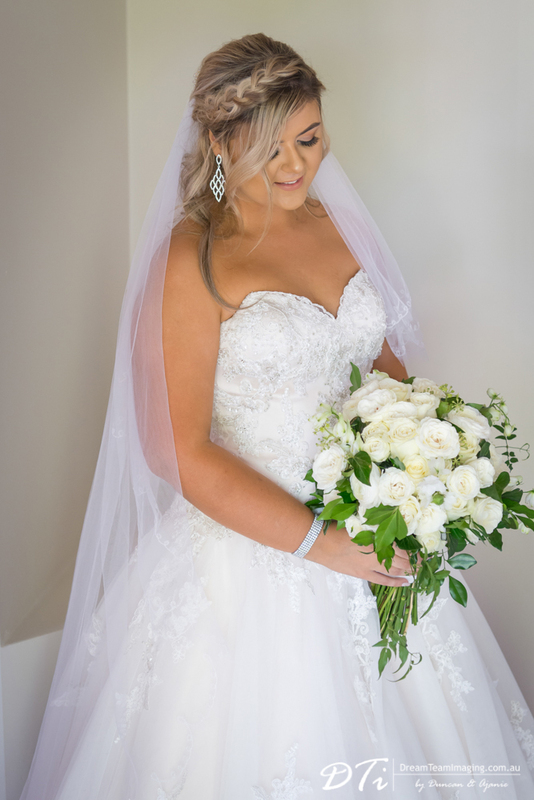 Chloe and the girls looked absolutely beautiful on the day. 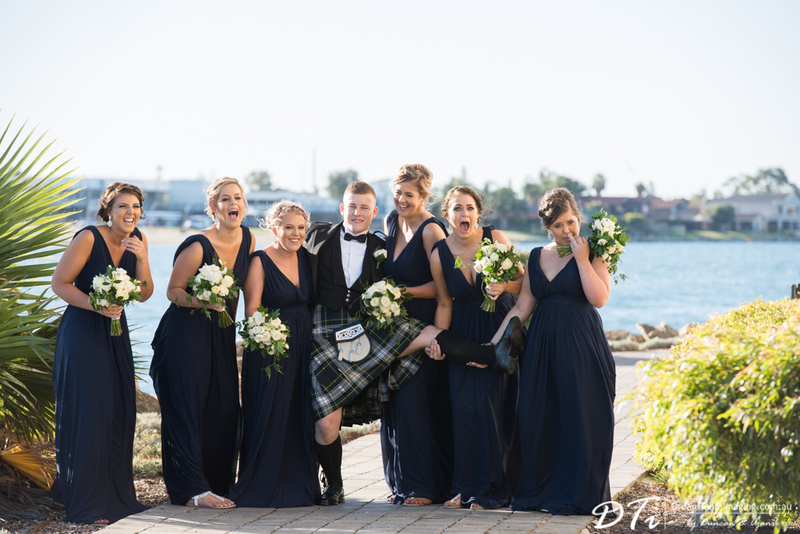 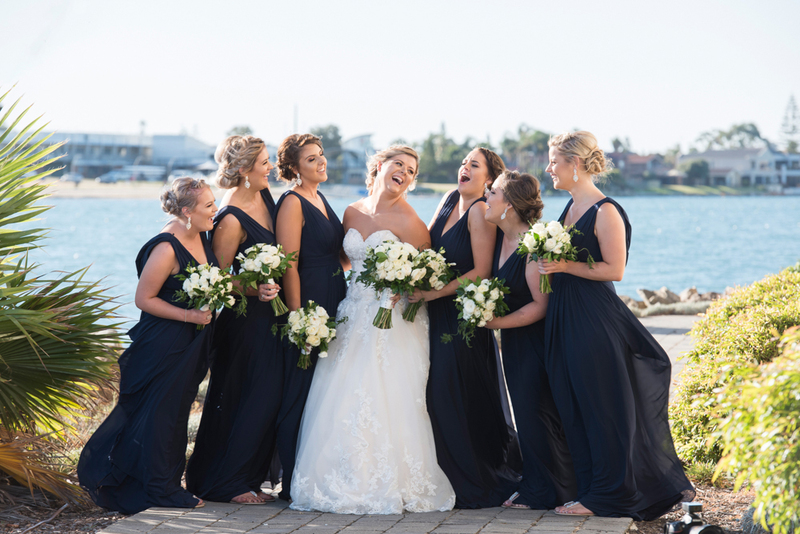 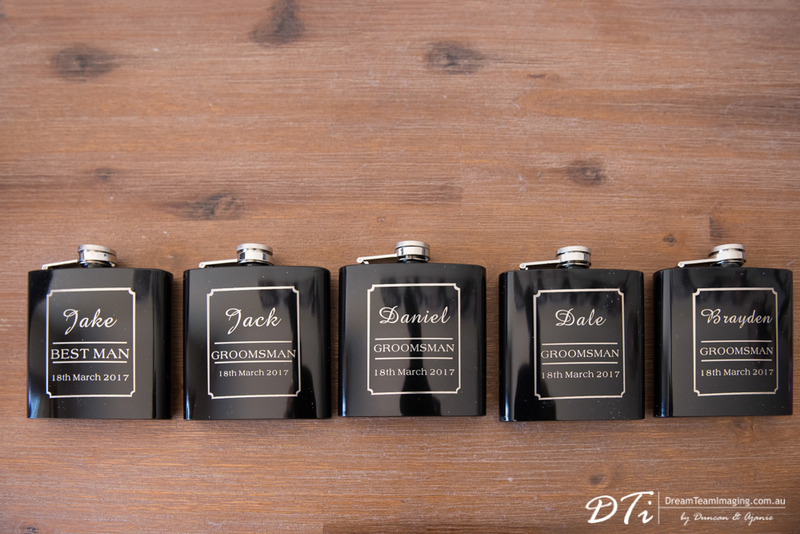 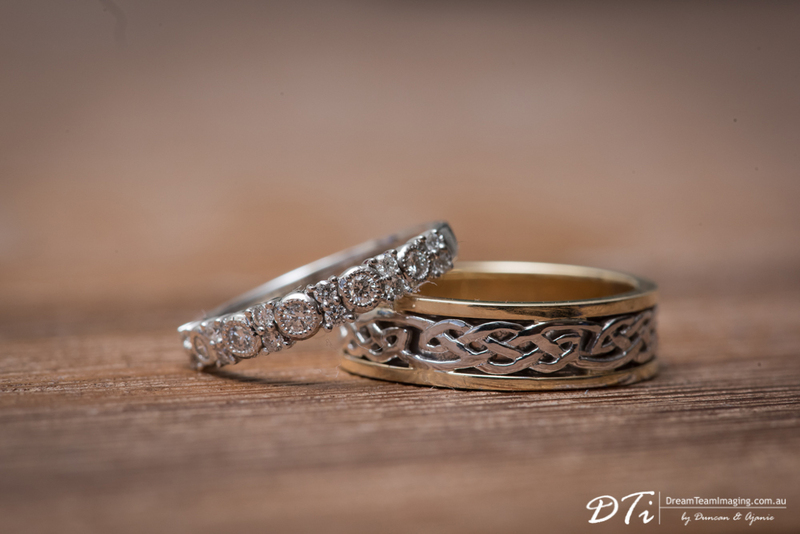 We had so much photographing this beautiful bridal party!